S matic aims to continuously increase to his positions on the European market and to increase the satisfaction of its customers create “Corporate department”. S matic seek partners – Car Services in whole Europe for remanufacturing of air springs. 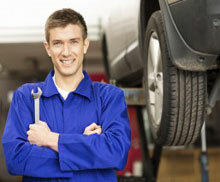 The only requirement is that your Car Service can carry out for installation and removal of air suspension. The air springs have to be sent to our Car Service in Bulgaria, Sofia. Please contact us by phone or e-mail to find all offers we can offer you.